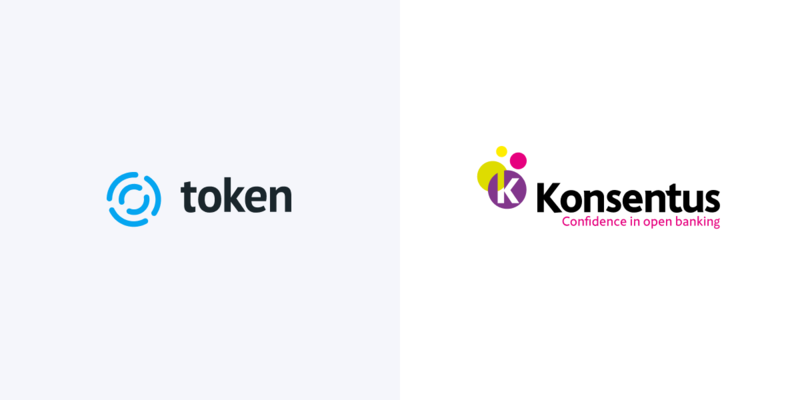 27 March 2019 – Open banking Third Party Provider (TPP) Identity & Regulatory checking specialist, Konsentus, and turnkey open banking platform provider, Token.io, today announce a strategic partnership to provide European financial institutions (FIs) with a fast and powerful combined solution for PSD2 compliance. By connecting banks and FIs to its SaaS PSD2 API, Token can provide the functionality required by the RTS including readiness for external testing and readiness for full production by 14 September. Konsentus’ SaaS platform simultaneously conducts automated checking and verification of TPPs that are requesting data and payment access to banks. The combined solution is based on TokenOSTM which delivers flexible, open APIs and programmable money technology, with the operational support, consent management, monitoring and reporting required to not only achieve compliance and develop new value-added services. Konsentus is a RegTech company, that was established to provide Identity and Regulatory checking services to financial institutions so that they can comply with PSD2 and open banking. Konsentus also issue the consent management tokens on behalf of financial institutions through a SaaS platform, enabling them to comply with EU regulation and provide open banking services to their customers, confident in the knowledge that they are only providing data to Third Party Providers (TPPs) who are regulated, and have customers’ "explicit" consent to use their data. Headquartered in the UK, just outside of London, our team of professionals are creating a world class solution for every FI in Europe. We are delivering this through utilising the best in open standards, coupled with unique solutions and most of all a belief that we can deliver for clients a cost-effective solution to their regulatory requirements. For more information please visit www.konsentus.com.